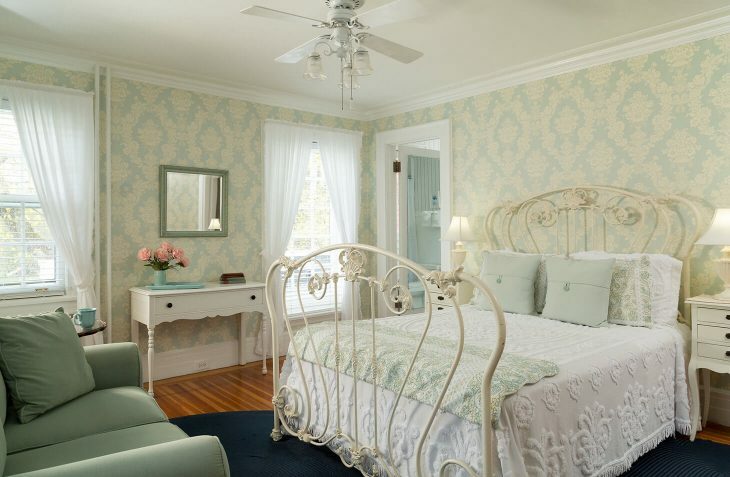 Enjoy this bright, cheery and blue room on your next romantic getaway in Vermont. 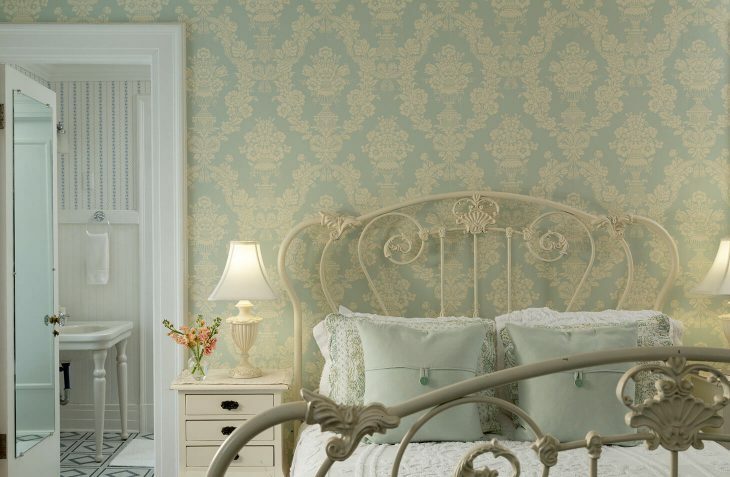 Although one of our smaller rooms, three large windows and soft blue and cream tones make this room especially inviting. This room has a queen-size bed, comfortable love seat, flatscreen TV and newly refinished, original hard wood floors and a large walk-in closet. 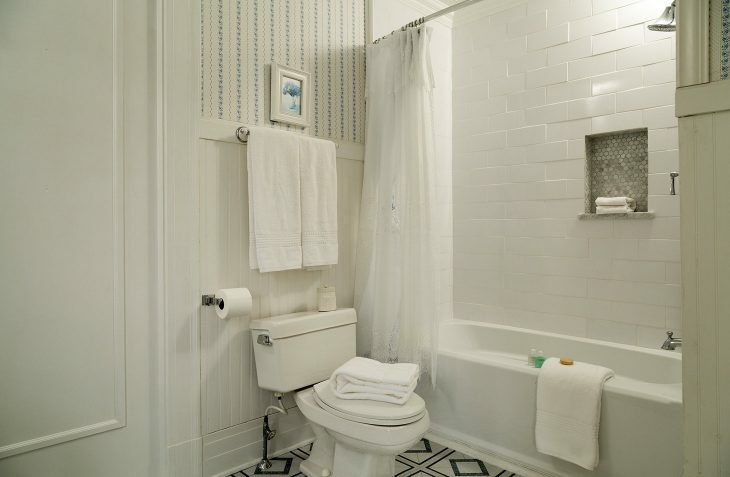 The large bathroom has an antique pedestal sink and standard-size tub/shower combination. Cozy and cute. Approximate room size: 15 x13 feet. 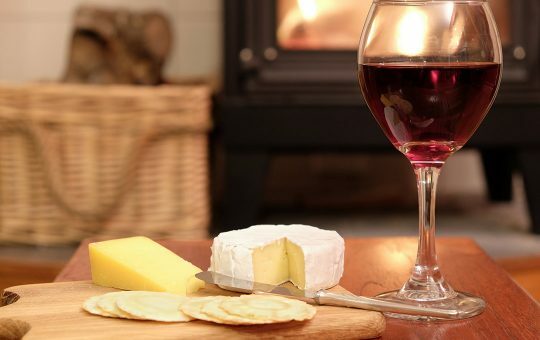 Enjoy an artful platter for two of farm fresh Vermont cheeses!